Competitive fans will not be happy. Treyarch also revealed that it will be releasing its first post-launch specialist, Zero, on Dec. 11 in a major update. 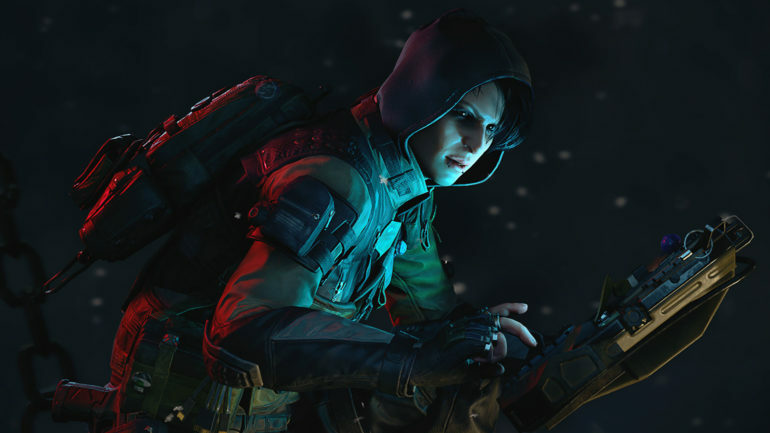 Zero can “disrupt and distract her enemies” using her hacking tools, according to Treyarch, which may indicate the addition of the EMP Grenade or Black Hat, which both appeared in past Black Ops titles. Players can unlock Zero by completing the first tier in the newly-revamped Black Market system, which will only have 100 tiers, compared to the 200 it previously had. There will also be much more diversity in the items that players earn in each tier, Treyarch says. And while players will be excited to try out the game’s newest character, competitive fans won’t be very happy with League Play’s delay. The playlist, as a part of the new esports-centric World League Hub, was slated for its debut this month. But it appears that this weekend’s CWL Las Vegas Open and maybe even more major tournaments won’t be featured in the Hub like originally planned. The update on Dec. 11 will not only bring Zero, but as one would expect, new weapons, cosmetics, and map changes are coming to Black Ops 4 in Operation Absolute Zero. Players can earn three new weapons: the Daemon 3XB submachine gun, SWAT RFT assault rifle, and Secret Santa melee weapon. Blackout will receive a big update in multiple aspects, too. The rumored addition of Hijacked, a popular Black Ops II map, has been confirmed and it will arrive on Dec. 11. There will also be a new Armor repair system, as well as seasonal changes. A new armored vehicle, the ARAV, will be added to the game mode as well. Treyarch said it has plans to add custom games to Blackout soon, in addition to weapon camos, map decorations, throwable snowballs, and more. And Zombies fans can look forward to three new free features: Daily Callings, Black Ops Authenticity Stamp system, and Daily Tier Skips. The callings will be challenges that give out bonus XP and Nebulium Plasma. The stamp system is a way for players to share their games and track several statistics, including kills, map, special weapons, Elixirs consumed, and final score. Next week will be a big one for Call of Duty: Black Ops 4 developers and fans, but it remains to be seen how the community will react to the changes and additions.